Size: 8 1/2 x 8 1/2"
Be ready when you get the call and have to dispatch a tow truck or mechanic to help a motorist stranded on the highway. 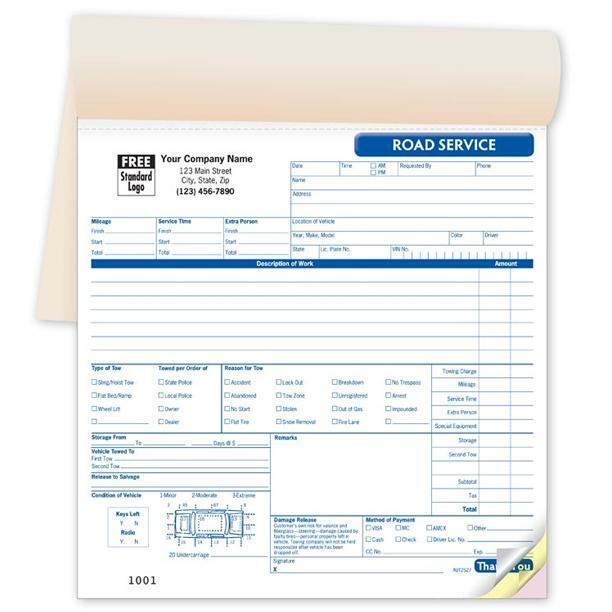 This is one of out most popular selling road service/towing booklet which you conveniently use for billing customers. 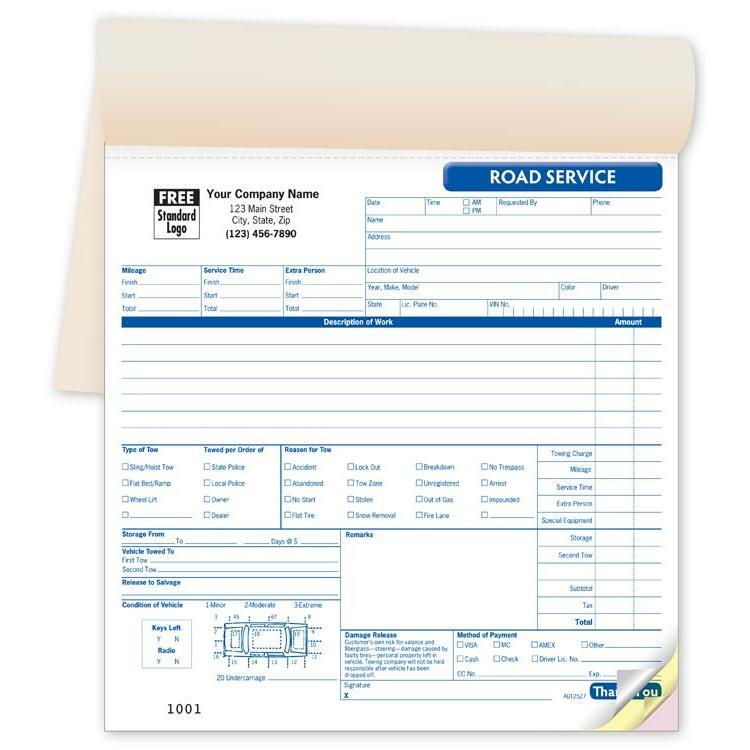 Road service book help the tow truck driver work more efficient when they are on the road. 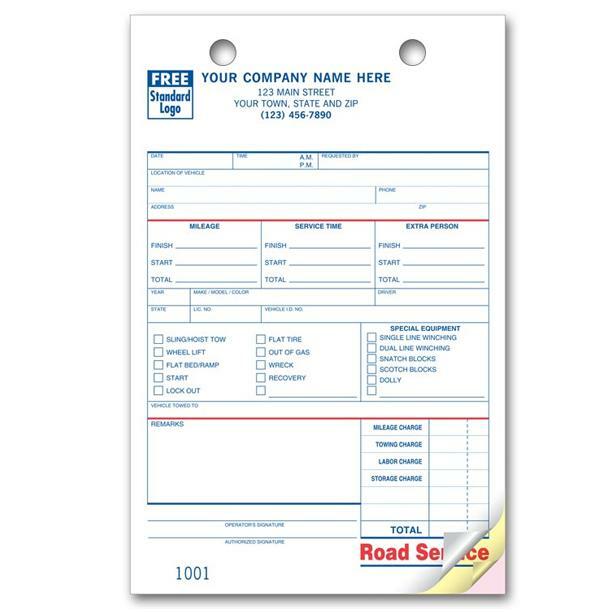 Road Service/Towing forms help you to write up information like vehicle information, mileage and more. Comprehensively complete all details of orders. 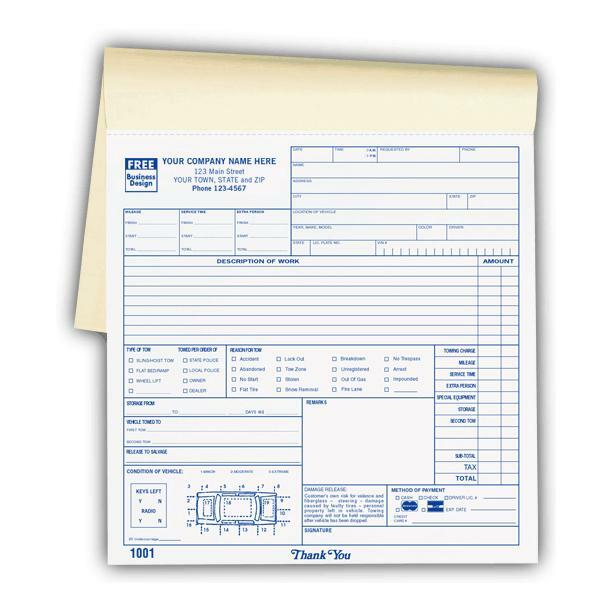 Preprinted form that help you capture vehicle information, mileage and more. Write up the details. Larger format printed with areas that gives you extra room, plus car diagram on front to report condition of vehicle. Manufactured to help you stay organized. The last copy stays bound to the book for a easy record keeping. ; 50 sets per book. Keep your records organized and in a safe place. Carbonless form printing that stay tightly aligned for clear, clean copies. Custom form that includes your business name and address. Build your brand by customizating options include imprinting your custom logo.